Melissa and Chris came in from Mississippi for their wedding at Sampson's Hollow. And funny enough, a gal who works for Melissa down in MS attended her sisters wedding at the same exact place just two months before! And they both picked me for their photographer - what a small world - I love it!! 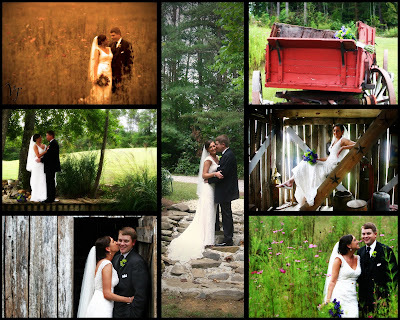 Another beautiful wedding at Sampson's Hollow, and Melissa and Chris were so cute. I really enjoyed meeting them and their families, who in another weird twist may be related somewhere way down the Cades Cove clan to the owners of Sampson't Hollow! !